These words are taken from The Ghetto Fights, Marek Edelman’s stunning memoir of the Warsaw Ghetto uprising in 1943 against the Nazi Holocaust in Poland. They describe the amazing escape for the lucky few from the Ghetto’s burning remnants. The Nazis had finally set the Ghetto on fire because, Edelman says, that was the only way they could win and “save their military honour”. Marek Edelman, the last surviving leader of the five-person command group that led the uprising, died earlier this week, aged 90, in his native Poland. He will be remembered as a national hero. And whatever his misgivings about resurgent anti-semitism in Poland – three years ago he publicly endorsed the students’ and teachers’ campaign to get rid of the extreme right-wing education minister, Roman Giertych – Edelman would have been delighted. He took to his grave his unshakeable belief, rooted in his strong sense of humanist Judaism and forged in his teenage years as a member of the Jewish Anti Zionist Socialist Bund, that racism could be overcome and that a politics which speaks to a common humanity would ultimately prevail. In his memoir he describes the initial disbelief of Jews in their fate. Nearly 400,000 Jewish men, women and children had been sealed into the Ghetto in 1940 – the prelude to the Final Solution, which murdered almost all of Poland’s three million Jews, half of the final total. Paralysis and fear was the dominant mood. “To overcome our own terrifying apathy, to fight against our own acceptance of the generally prevailing feeling of panic, even small tasks … required truly gigantic efforts on our part,” Edelman wrote. It was the children who acted first. “Children begged everywhere, in the Ghetto as well as on the ‘Aryan’ (non-Jewish) side. Six-year-old boys crawled through the barbed wire under the very eyes of the gendarmes in order to obtain food. Often a lone shot in the vicinity told the casual passer-by that another little smuggler had died in his fight with omnipotent hunger”. Yet the courage of the children failed to trigger the necessary resistance. When I met him in 1989 to discuss the first-time publication of The Ghetto Fights in the UK, Edelman was still furious with the traditional Jewish leadership for seemingly allowing the Ghetto passively to accept their fate. The Nazis succeeded in “deporting” two-thirds of the Ghetto population to the death camps before the Jewish Fighting Organisation, (in Polish, Zydowska Organizacja Bojowa, or ZOB), was finally formed from three political parties, the Bund, the Socialist Zionists and the Communists. It is sometimes argued that the ghetto fighters were isolated and defeated not just because of the dominant military position of the Nazi occupation forces but also because of the intense anti-semitism of the local Polish population. Edelman always rejected this view. He refused to emigrate either to America or Israel. He became a heart surgeon in his native Poland – continuing the task of “saving lives”, as he saw it. He remained politically active all his life, supporting the independent Solidarity trade union movement that would overthrow the Stalinist regime in Poland in the 1980s. 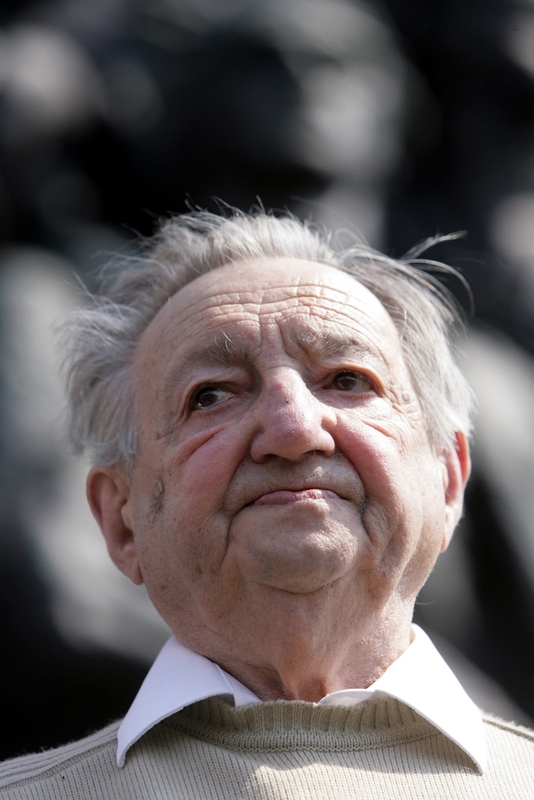 At Solidarity’s Congress in 1981, in the shipbuilding city of Gdansk, where the union was founded, a veteran of the Polish Underground that had led the rising against the Nazis, one year after the Ghetto rising, in 1944, halted the applause for himself. He pointed to the hero “of considerably greater stature” in the hall, Dr Marek Edelman. The Communist authorities, fearful that Edelman would emerge as an iconic figure for Solidarity, offered him belated Polish military honours, which he refused. In the summer of 2002, Edelman, still going strong, intervened in Israel’s show trial of the now jailed Palestinian resistance leader, Marwan Barghouti. He wrote a letter of solidarity to the Palestinian movement, and though he criticised the suicide bombers, its tone infuriated the Israeli government and its press. Edelman had always resented Israel’s claim on the Warsaw Ghetto uprising as a symbol of Jewish liberation. Now he said this belonged to the Palestinians. He addressed his letter to the Palestinian ZOB, “commanders of the Palestinian military, paramilitary and partisan operations – to all the soldiers of the Palestinian fighting organisations”. The old Jewish anti-Nazi Ghetto fighter had placed his immense moral authority at the disposable of the only side he deemed worthy of it.